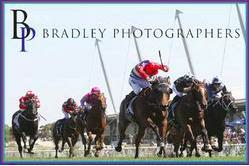 Kim Waugh Racing Stables :: Our Century Runs in ATC Cup & 3 Runners in $150,000 Provincial Final at Kembla Grange! Our Century Runs in ATC Cup & 3 Runners in $150,000 Provincial Final at Kembla Grange! Whilst stable star Our Century heads to Rosehill on Saturday to run in the 2000m Listed ATC Cup , Manhattan Mist, King Hewitt and Mo The Great are on target to represent the stable in the $150,000 Spring Provincial Series Final over 1600m at Kembla Grange. Manhattan Mist was most impressive in winning heat 1 which was run at Wyong on October 21st with Josh Parr aboard. The son of Manhattan Rain enjoyed a nice hit out at Newcastle barrier trials last Thursday and looks ready to go for Saturday! King Hewitt finished 3rd in heat 4 and will no doubt be well-primed for the mile journey 3rd up whilst Mo The Great finished 3rd, last Saturday in the final heat run at Gosford but was subsequently relegated to 4th on protest. With a couple of qualified horses dropping out he was able to secure a run. Interesting though to see how the track at Kembla recovers from the deluge of rain that soaked most of Sydney on Wednesday!